Our final show of the year is this Sunday, December 21! Celebrate the season with us! It’s that time of year! The holiday season is upon us and this Sunday is the last show to buy all those gifts for your favorite music lover – or a little something for yourself! 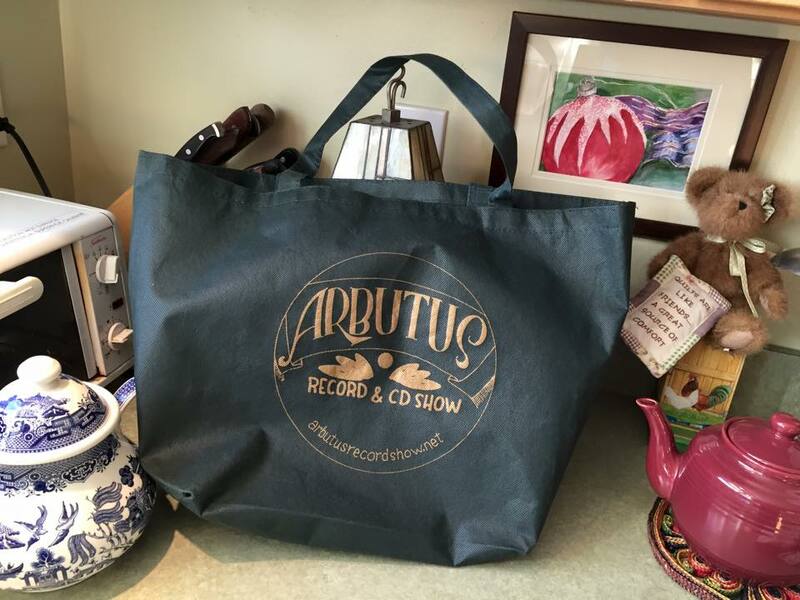 We are also introducing our very own Arbutus Record & CD Show bag with our new logo! Ask your favorite dealer for yours. Also coming up is our annual favorite Christmas song list from our vendors. This entry was posted in music and tagged albums, Arbutus Record Show, Beach music, big band, books, CDs, Christmas gifts, Christmas song, collectibles, country music, DVDs, funk, gifts, jazz, Love Songs, music, psychedelic, R&B, record show, records, rock and roll, rockabilly, soul, soundtracks, T-shirts, vintage, vinyl by arbutusrecordshow. Bookmark the permalink.